House and Senate negotiators Sept. 29 reached agreement on a $612 billion defense authorization bill for fiscal 2016 that includes a 1.3 percent pay raise for service members, trims to some military benefits and a dramatic overhaul of the military retirement system. The Pentagon has denied the Joint Surveillance Target Attack Radar System recapitalization program approval to move into the next phase of the acquisition cycle, another setback for a long-delayed effort to replace the Air Force’s ground surveillance fleet. 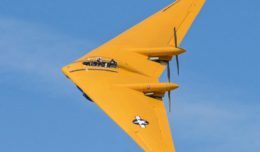 The U.S. Air Force is delaying the award of a contract to develop a next-generation bomber by a “couple of months,” a general said. Alion has been awarded a $49 million Navy ISR contract. U.S. contractor L-3 Communications has settled a claim that had been investigated by the U.S. Department of Justice over the cost of training contractors for servicing work overseas, the agency announced Sept. 28. L-3 will pay $4.6 million to settle the claim, which stems from contracts to perform helicopter maintenance between 2006 and 2011 in Afghanistan, Egypt, and Iraq for the U.S. Army and U.S. Air Force. Three of the Pentagon’s biggest weapons programs could be disrupted by a stopgap budget measure that caps federal funding at prior-year levels and prevents the launch of new programs and cost-saving multiyear deals. After more than seven years of designing and testing how to make new, more powerful, and incredibly fuel efficient engines for its AH-64 Apache attack helicopters and UH-60 Black Hawk utility birds, the Army has issued a Request for Proposals. The U.S. Army has officially opened its improved turbine engine program for a more powerful and fuel efficient design that will replace the 1970s-era GE T700 on nearly 3,000 medium helicopters in the Pentagon’s fleet. The recently signed contract also includes a new fleet of transport aircraft. General Dynamics has won a $358 million foreign military sales contract with the U.S. Army to adapt M1A1 battle tanks to situational awareness configuration for Morocco. U.S. House and Senate conferees finalized a $612 billion defense policy bill that requires service chiefs to sign off on future acquisition programs suffering from cost overruns. In a potential major shift in policy, U.S. military commanders want to keep at least a few thousand American troops in Afghanistan beyond 2016, citing a fragile security situation highlighted by the Taliban’s capture of the northern city of Kunduz this week as well as recent militant inroads in the south. TALONS could give radios more range, radars a further scan area and maybe even allow cameras to see enemy ships beyond the curvature of the earth. At the touch of a red button, an RAF pilot obliterates jihadist militants in Syria with a laser-guided missile – moments after blowing up an enemy warplane that never saw him coming. Senators pressed the Department of Veterans Affairs Sept. 29 to expand benefits for Vietnam veterans and conduct more research on the effects of Agent Orange. DARPA responded to a request from Fusion that “brain-neural interfaces” have not yet been implanted in soldiers, though test devices have been implanted in the brains of volunteers already undergoing brain surgery.